Wander further than St Kilda beach this summer. Our fabulous sunburnt land has plenty of stunning waters to dip your tooties in near Melbourne. We’ve teamed up with Visit Victoria to bring you all the beaches and bays you should have been to by now, to make your ultimate summer roadtrip complete. Start your engines, before the good weather disappears. Accessible only at low-tide and only by foot, Fairy Cove is the ultimate water destination in Victoria. Clear blue waters from two adjoining bays tend to ebb and flow (or separation and re-join during the day), so if you’re placing belongings on the shore, make sure to keep an eye on them. The hike there will take about an hour, but it’s worth it for a bit of natural magic. Tucked behind a 250-metre wide opening on rocks, The Oaks sit two hours outside of Melbourne along a rougher section at Cape Paterson. The ideal quiet sandy surf beach, you can also follow Cape Paterson-Inverloch Road for Oaks East beach, and Twin Reefs. At the end of Point King Road, a grassy path will lead to wooden stairs and reveal Point King Beach. Typically popular with local residents and boat owners, the still waters are ideal for a quiet swim. The Rip Curl Pro is held annually at Bells Beach—so that’s the level of ~talent~ you can expect from this crowd. Waves can reach up to a jaw-dropping 1.5m and break close to the headland. Tucked into the sweet spot between Anglesea and Lorne along the picturesque Great Ocean Road, Fairhaven is a slice of heaven for surfers. Once you’ve had your (nose) fill, head over to Aireys Inlet and pick a homely cafe for a cuppa or quick lunch. One of the longest exposed beaches on Phillip Island, Cape Woolamai is excellent for experienced surfers and fishermen. If you're not a surf bunny, hike out to the Beacon for spectacular views of the cape. The varied conditions at Thirteenth Beach will suit both learner and advanced surfers. Around the headland also works as a safe diving area, while the flat coastline is a dog-friendly space so your fluffy tailed friends can roam free. Try stand-up paddle boarding for a different view of the bay. Raffs Beach is one of the best places to learn how to surf, with a plethora of schools and lessons to choose from. Our pick is Go Ride A Wave, who also host classes all the way down the Great Ocean Road. 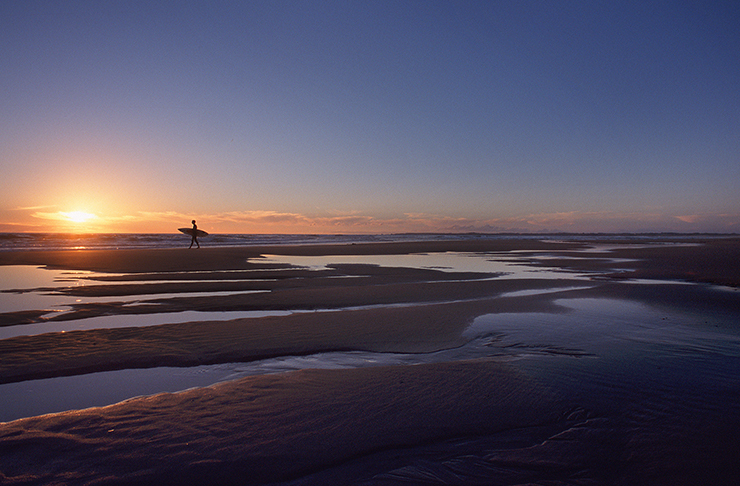 Part of the National Surfing Reserve (the only one in Victoria), Smiths Beach is surfing and kayak-friendly. Stand-up paddle boarding is also popular at this sun-soaked spot. If you're looking to take some lessons (always a clever idea), Island Surf School hosts regular classes. One of the rare, untouched snorkelling delights in Victoria, Kitty Miller Bay offers something for both experienced and first-time snorkelers. Expect to see toadfish, seagrass meadows and long-fin pike patrols among the colourful seaweed grasses. Because we know not all humans were built to float, while your mates are swimming up a storm at Point Leo you can head over to Mornington Peninsula’s latest hotspot: Pt. Leo Estate. A sprawling, towering sculpture park, restaurant and cellar door rolled into one stunning venue, there’ll be plenty (of wine) to keep you busy. 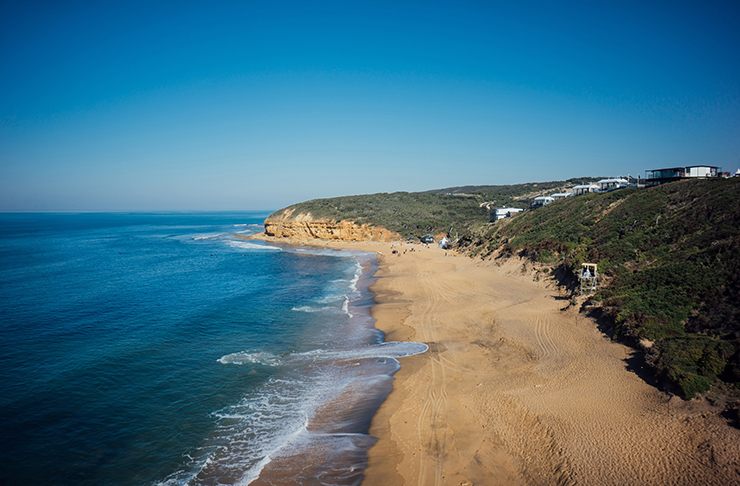 Outshined by the neighbouring beaches at Aireys Inlet, Sunnymead Beach is a quieter spot along the Great Ocean Road. Drop the rest of your crew at Sunnymead Beach while you explore the gems of the area including Split Point Lookout. Planning to check out some killer beaches? 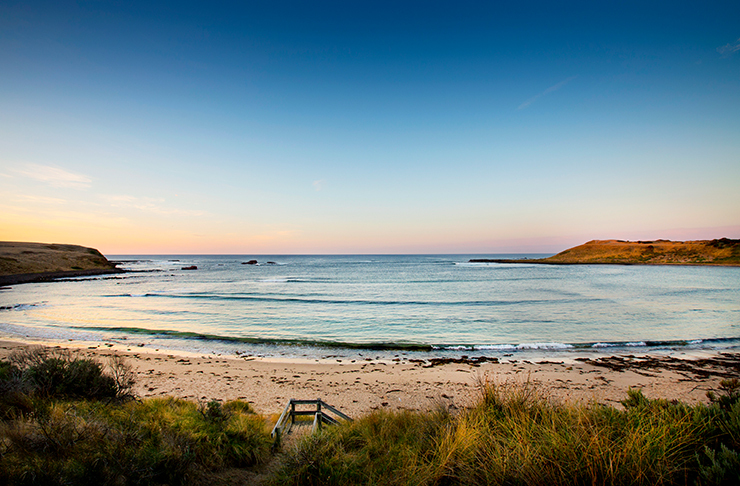 Make sure to have a sneaky peek at Visit Victoria's beach guide (*hint hint nudge nudge*).